Yay, my thread is back! will he be as good as his uncle or fail like the other cheater. RED DEVIL FAN a écrit: will he be as good as his uncle or fail like the other cheater. not to JV though. at this stage he still manage to get F1 seat. RED DEVIL FAN a écrit: not to JV though. at this stage he still manage to get F1 seat. He joined lotus isnt he? i dont know here everone is talking like a done deal. I'll not eat crisps (chips) for one month if JV gets a drive with Lotus. Anyway... wooo, GO BRUNO!! My dear dear Bruno, who I hope to meet again soon. emziibbyx a écrit: I'll not eat crisps (chips) for one month if JV gets a drive with Lotus. How did you get to meet him, at GP2 races or what? I have just become his fan. Bruno actually tweeted in Klingon!!!!!! "vaD teH nerds Daq vamqo'!! qIp jaH reH!" translation: For the true nerds in this world!! The best tweets ever! Pixx a écrit: reminds you of anyone? The resemblance is uncanny isnt it? If you believe in homeopathy, astrology or creationism, i have a bridge to sell you. PM ME! If I havent known beforehand I'd say it's photoshoped! 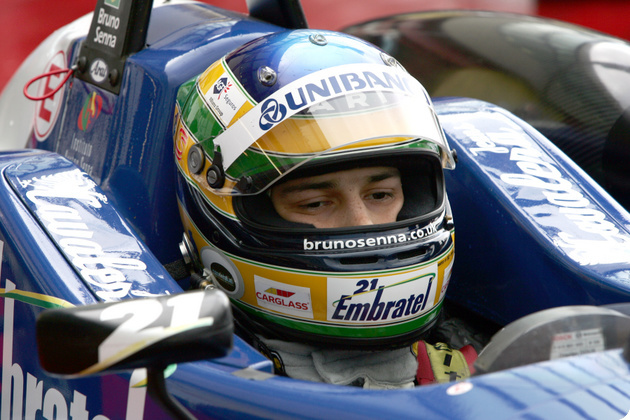 it freaks him out and brings back memories..
More excitement for Bruno / Ayrton fans. Trailer for upcoming Senna movie. Yea me to...should be a good watch for sure. I hope its a rounded film...but as it has the approval of the Senna family i guess not. Still..should be nice to watch. 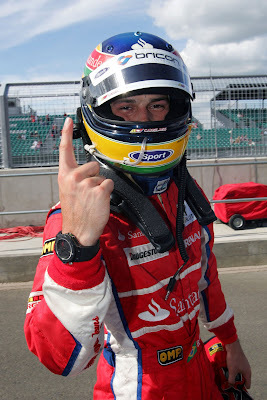 Hey wow, who woulda thunk that Zonked was Bruno Senna all along.......no wonder he has not been on the forum much!! !